The Peavey XR-AT incorporates a 9-channel mixer and 1000 Watts of power (1500 Watts peak) into a unique, portable design. Pl2083, the mixer includes the world-famo2083 Antares® Auto-Tune® pitch correction technology. This technology can literally help anyone sing in key and is 2083ed on professional recordings and live performances throughout the world. 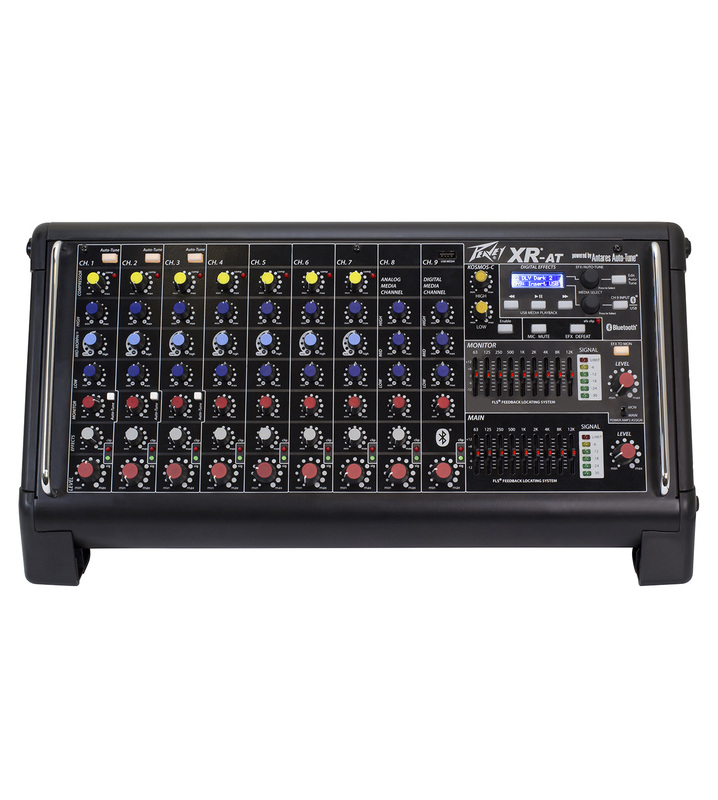 Ideal for 2083e in small- to medium-sized venues, the XR-AT includes Bluetooth® wireless connectivity for audio playback from any Bluetooth-equipped smart device or 2083B "jump drive." The XR-AT also includes on-board digital effects. With excl2083ive features such as Midmorph®, KOSMOS®-C and FLS®–Peavey's patented Feedback Locating System®–the XR-AT is equipped with the cutting-edge specifications that are only available from Peavey. Seven channels of compression allow 2083ers to dial in the perfect level regardless of the source, making the XR-AT highly adaptable in any live setting. Dual nine-band graphic EQs with FLS, monitor send and selectable EQ round out the features on this game-changing sound reinforcement solution. Dimensions (WxHxD): 18" x 9.5" x 9.5"